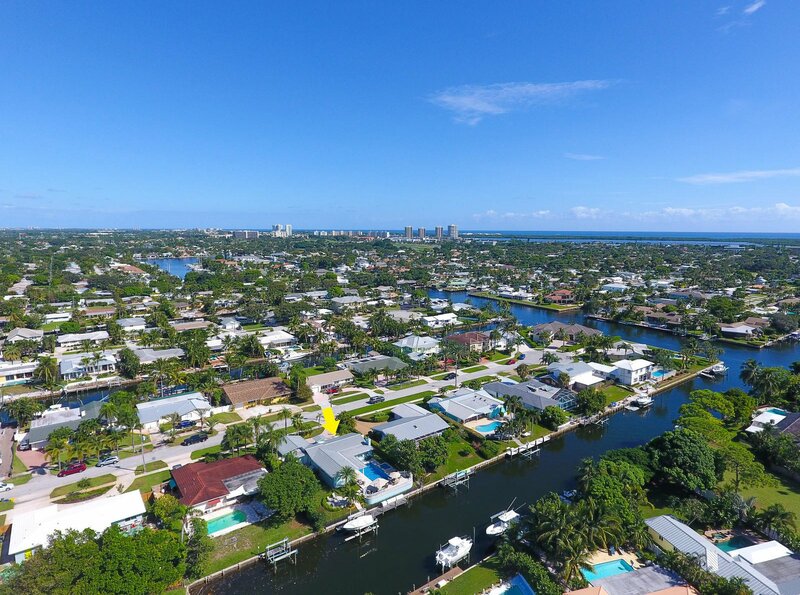 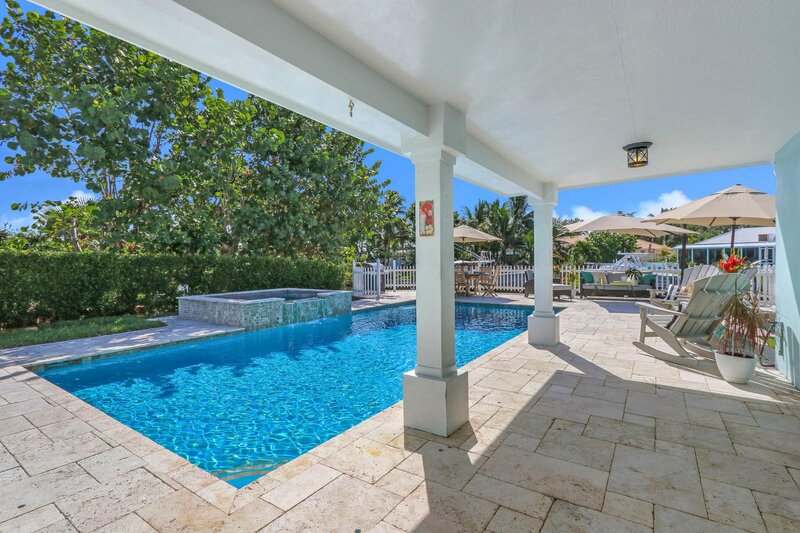 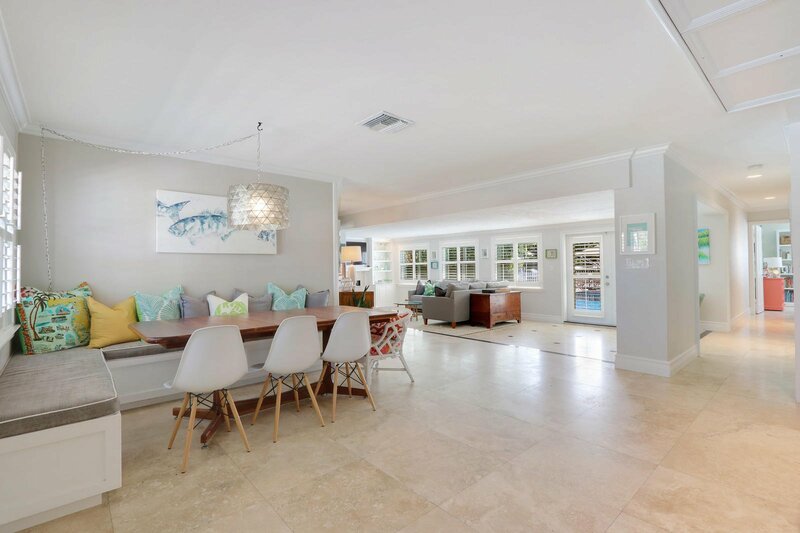 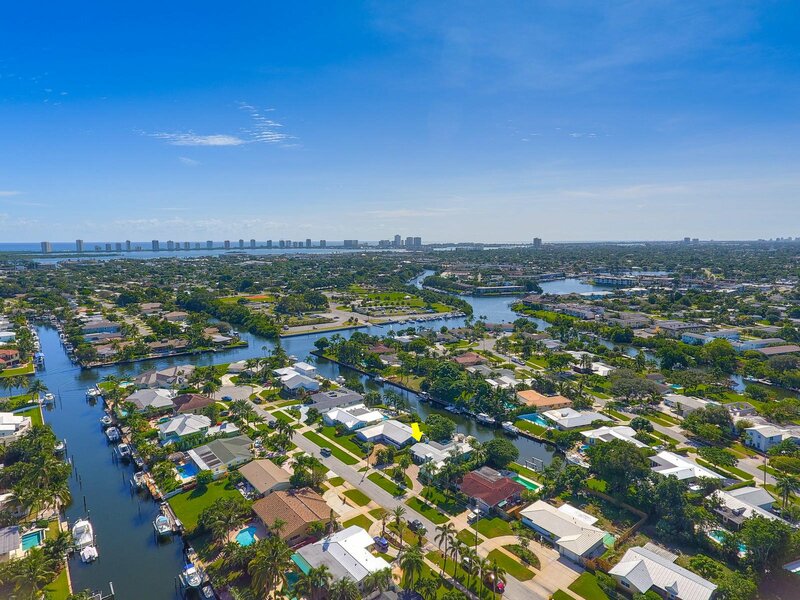 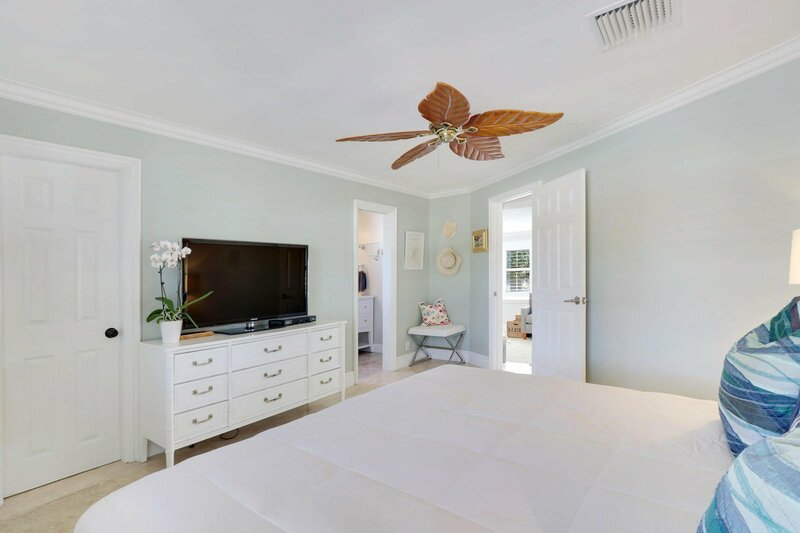 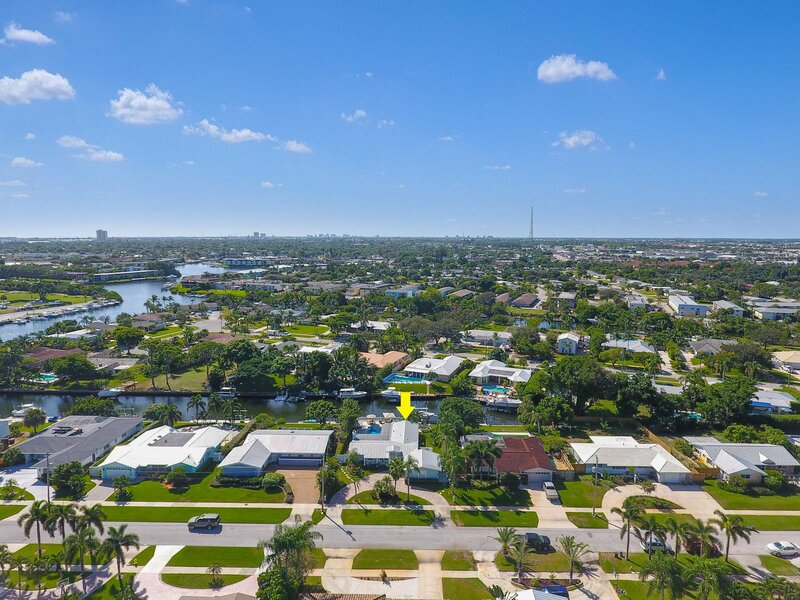 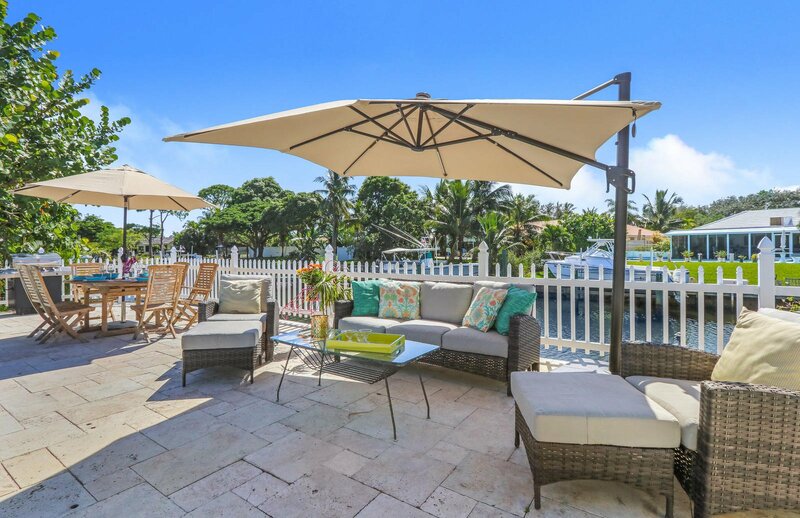 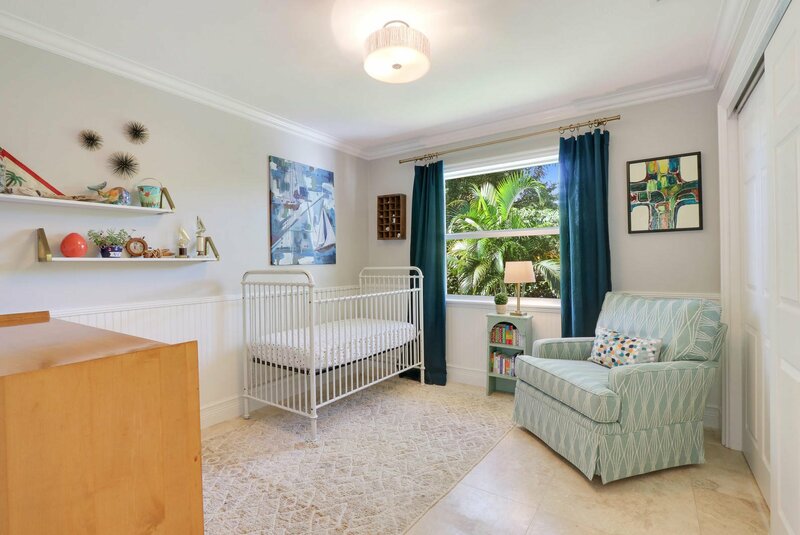 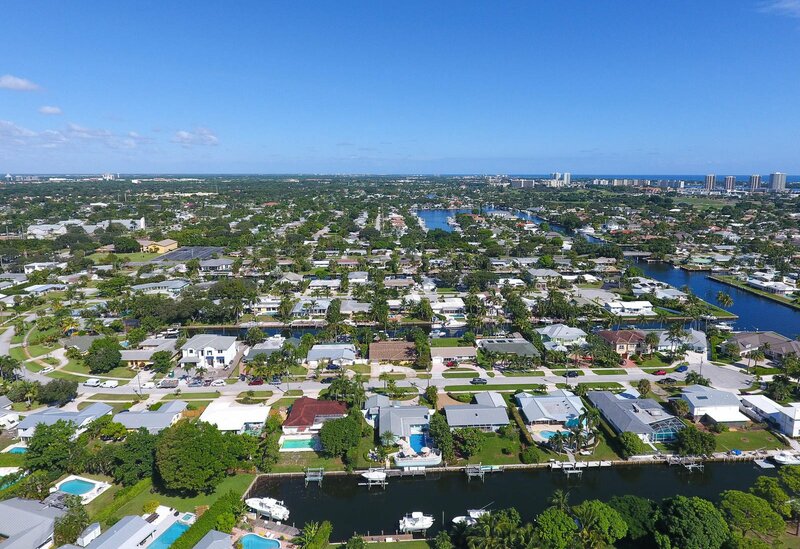 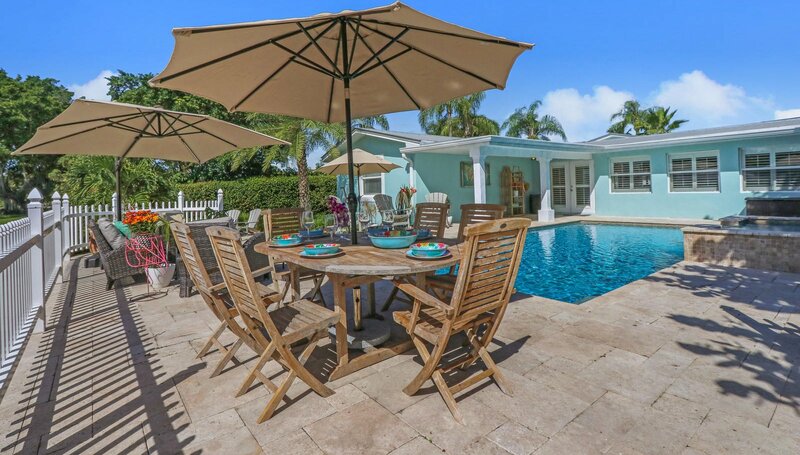 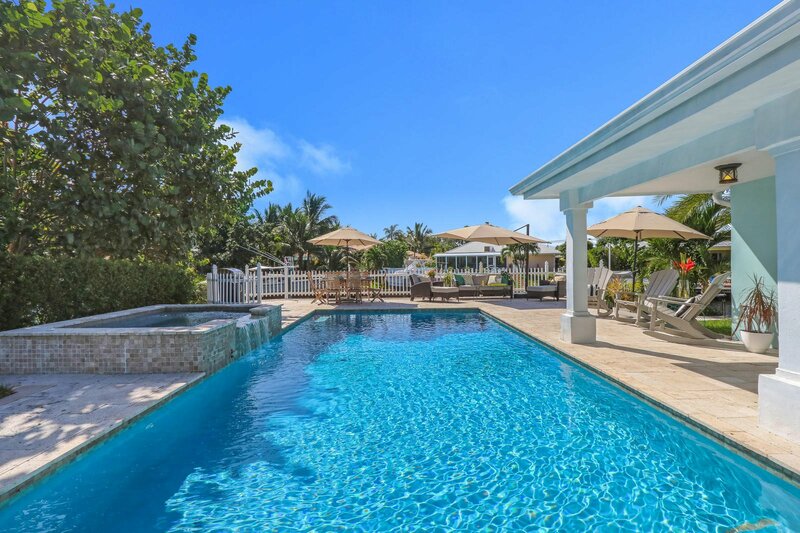 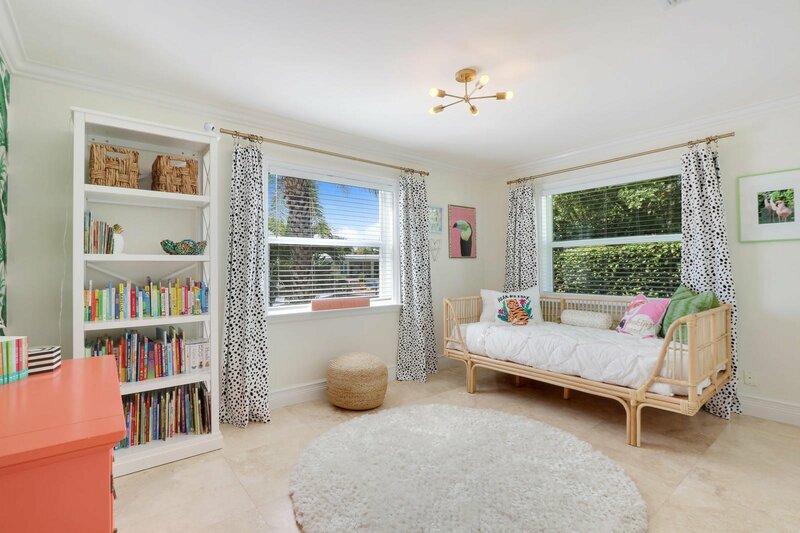 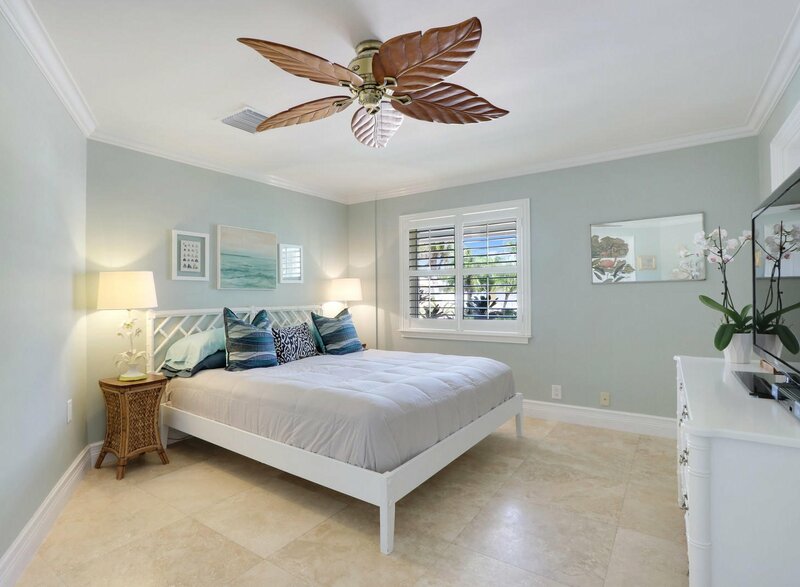 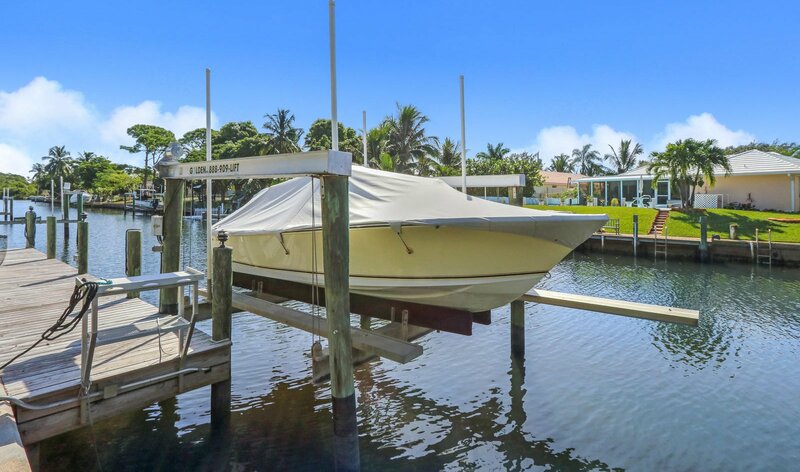 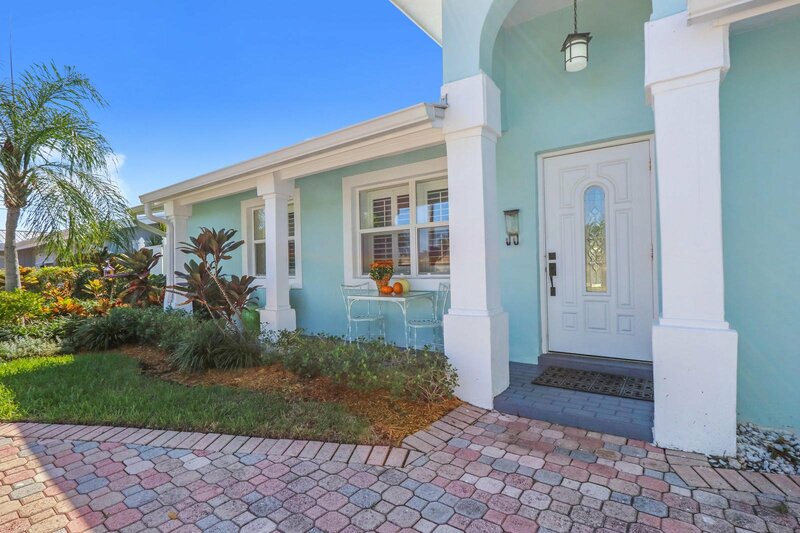 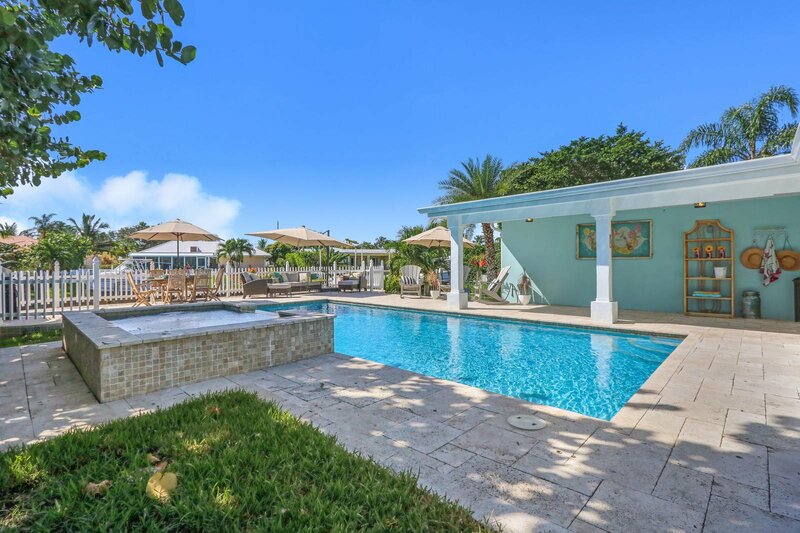 Charming waterfront value for under $1M on a wide deep water canal provides boater style living in the desirable Village of North Palm Beach. 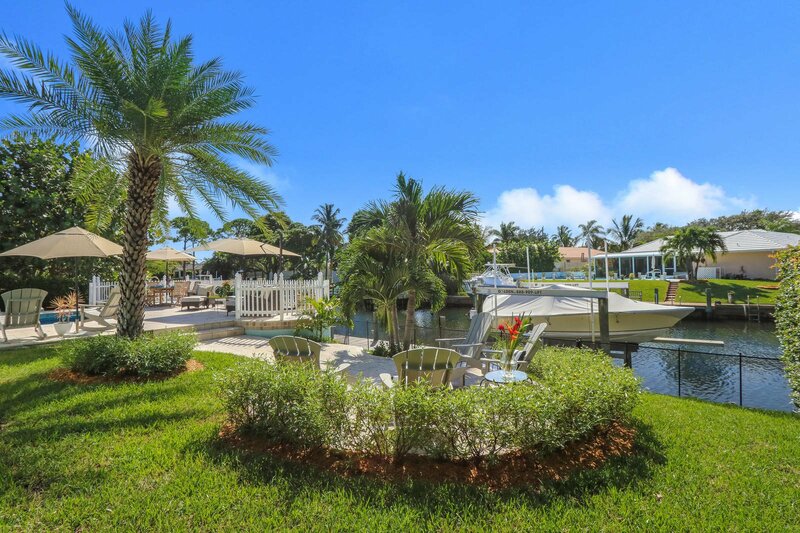 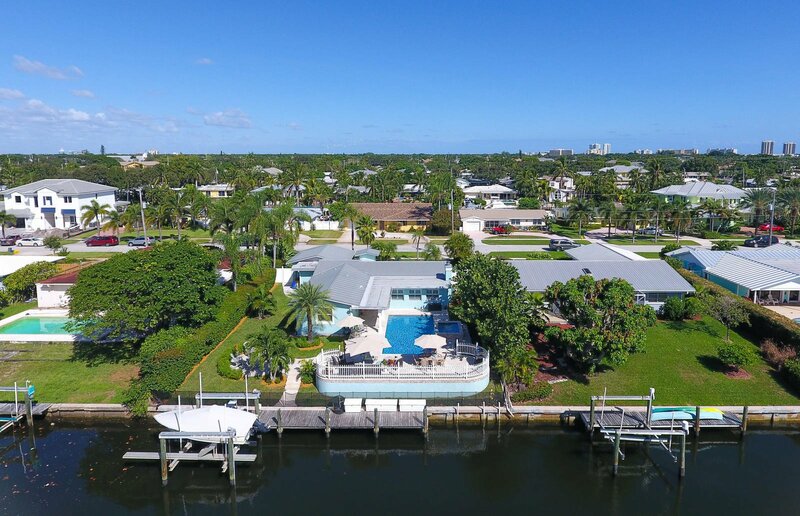 The southern exposure property features and incredible back yard oasis complete with 80' frontage, updated dock with 16klb lift, water, 220 electric and wired for 2nd lift. 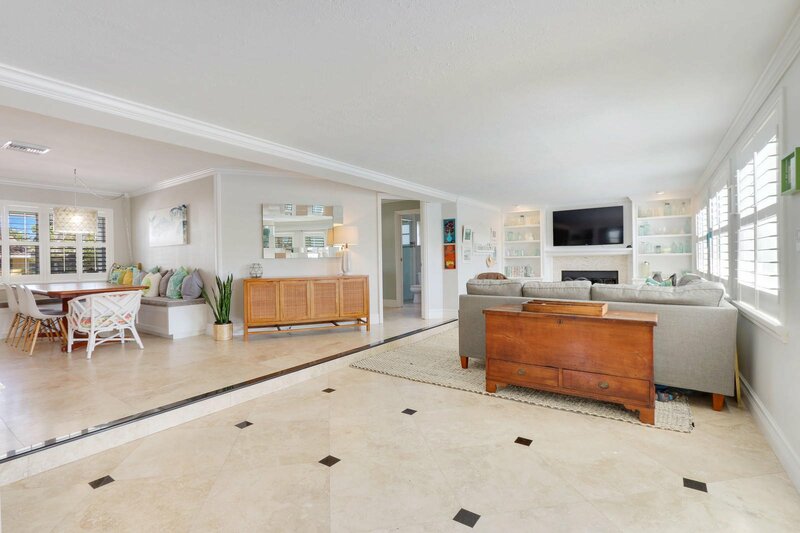 The tumbled marble paver patio provides for plenty of entertaining and surrounds an oversized salt pool w/ water feature hot tub and electric pool heater. 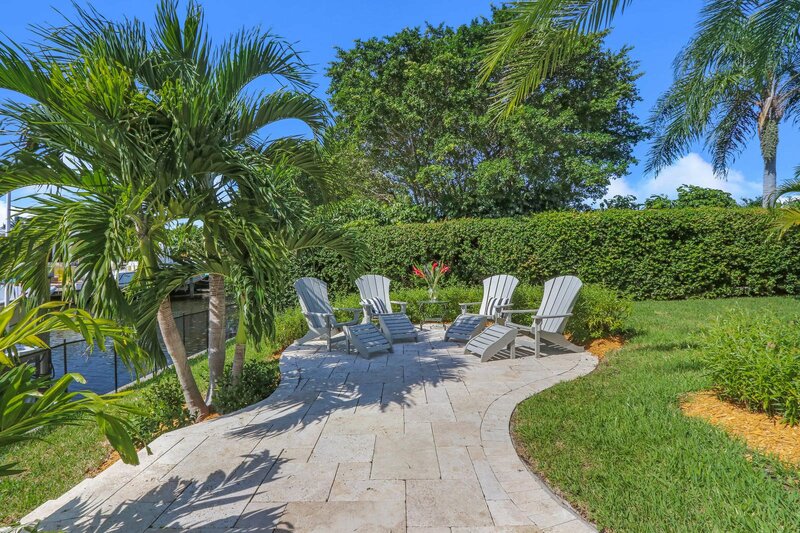 Professionally designed landscaping in both the front and back of the house perfectly accessorizes. 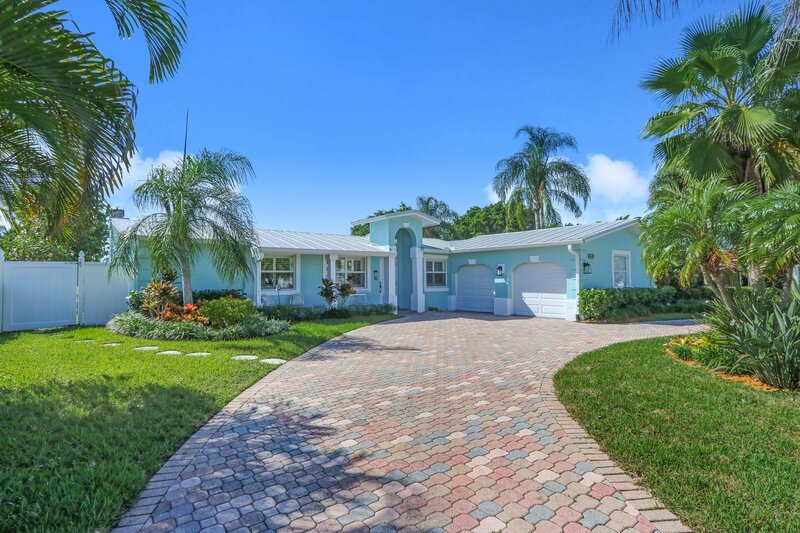 The home features CBS construction, newer metal roof, impact garage doors and newer 3 ton A/C. 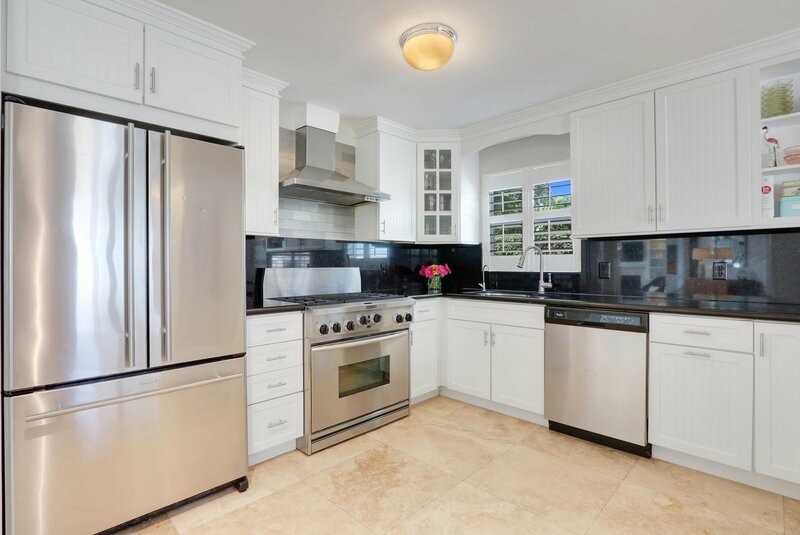 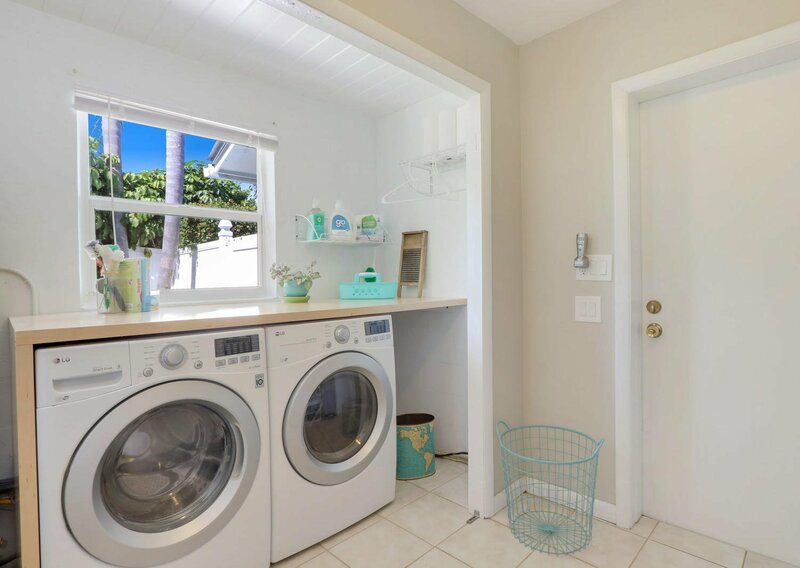 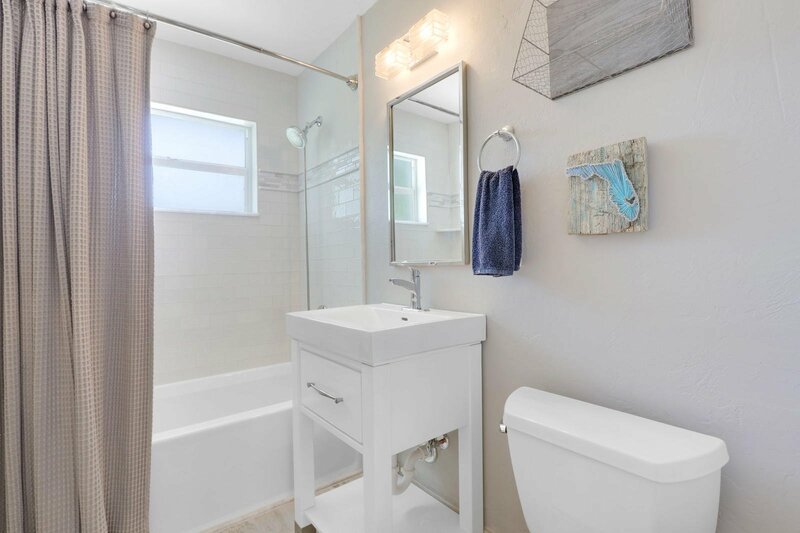 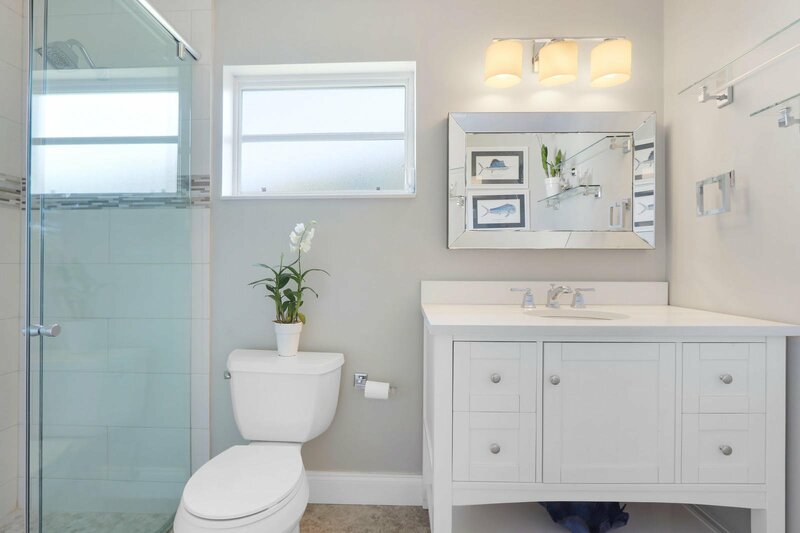 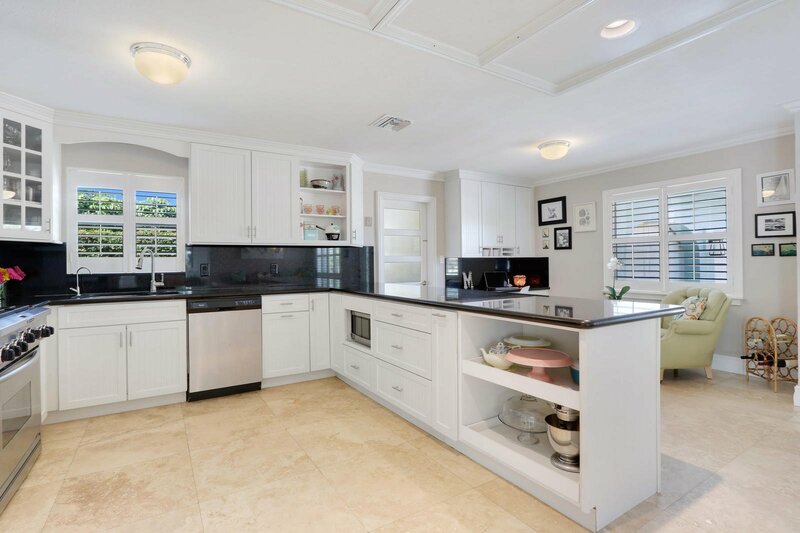 Interior features include an open concept split plan with marble flooring, updated kitchen, stainless appliances, gas range... new LG washer and gas dryer, updated bathrooms, Plantation shutters and built in closets. 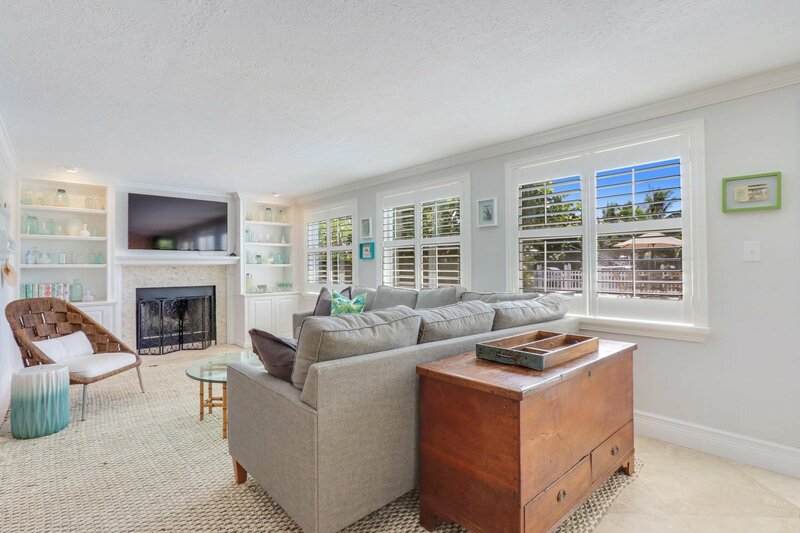 The home also has newer windows (some impact) that provide lots of light. 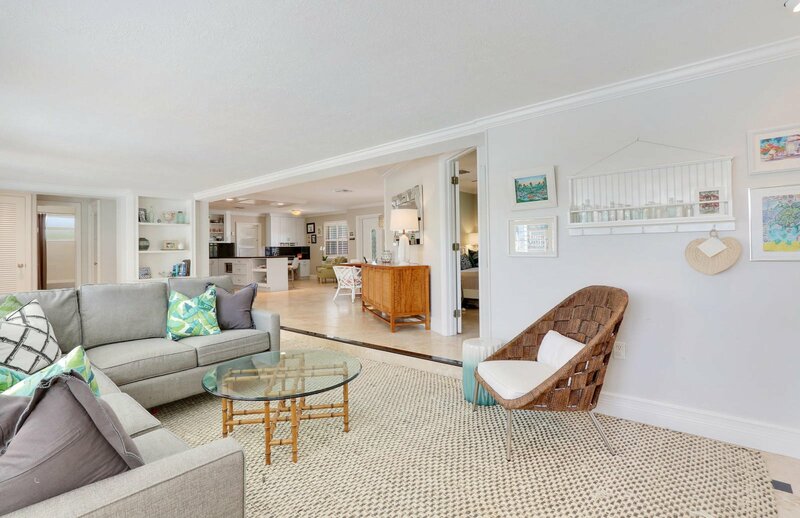 The living room features a wall of windows with Plantation shutters, crown molding and French doors that open to the patio. 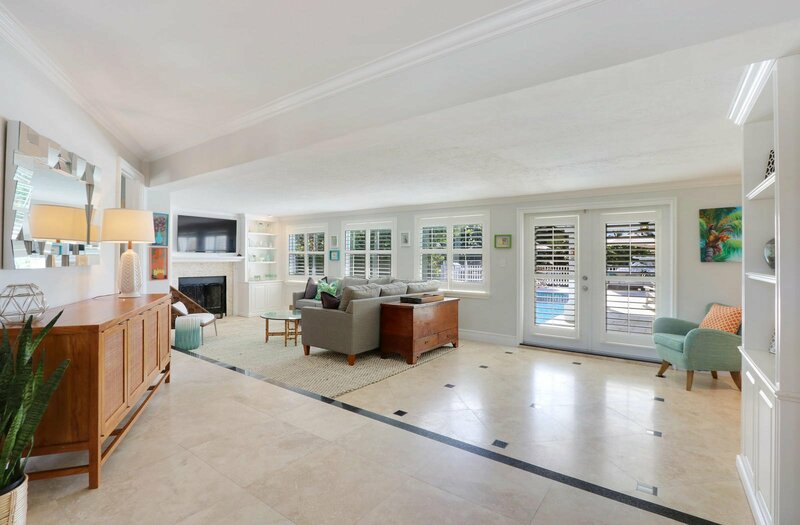 Custom built- in wall units perfectly frame the wood burning fire place. 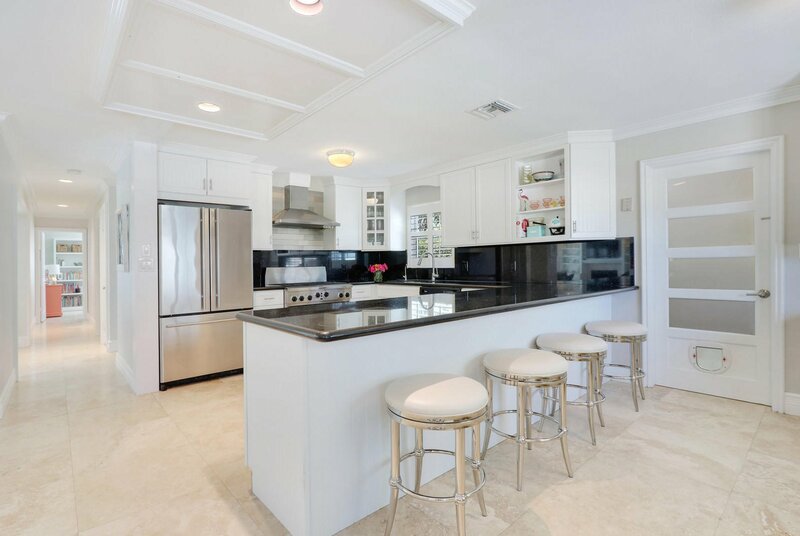 Don't hesitate â“ priced to sell! 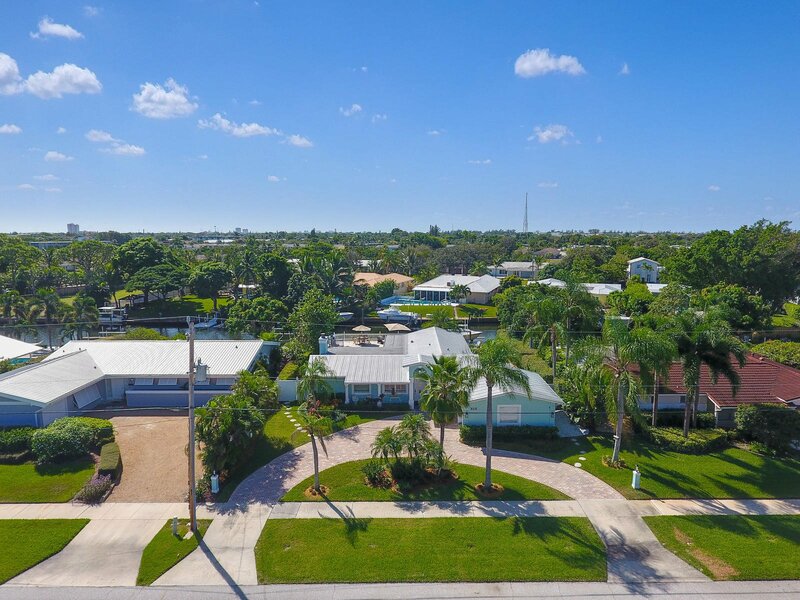 Listing courtesy of Seawind Realty LLC.